Basil. Mmmm … Parmesan cheese … Olive oil … Garlic … Nuts … Chocolate … Okay, wait, drop that last one. All these are tasty on their own, very tasty. 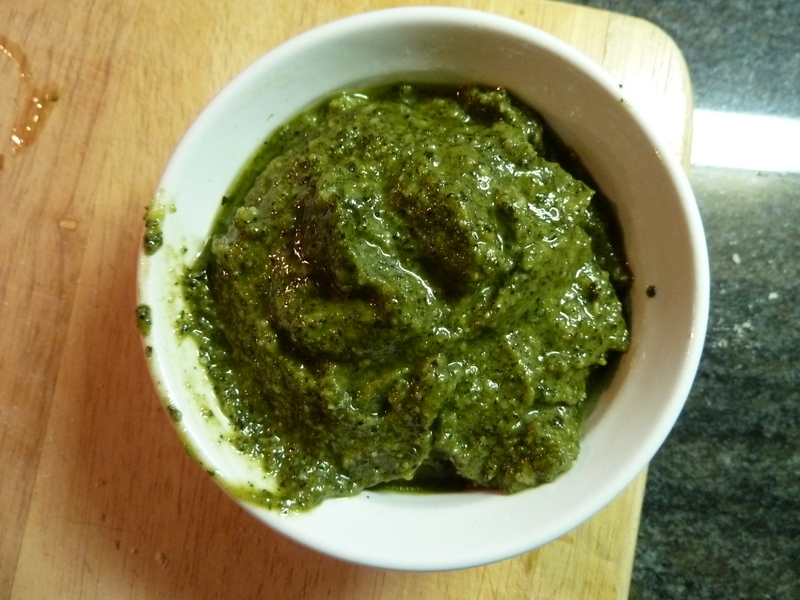 But whir them up together in a yummy pasty sauce and you have heaven on a spoon—basil pesto. Basil is just one of the pesto varieties we make in the Dainty household. There are others. Oh, there are others. 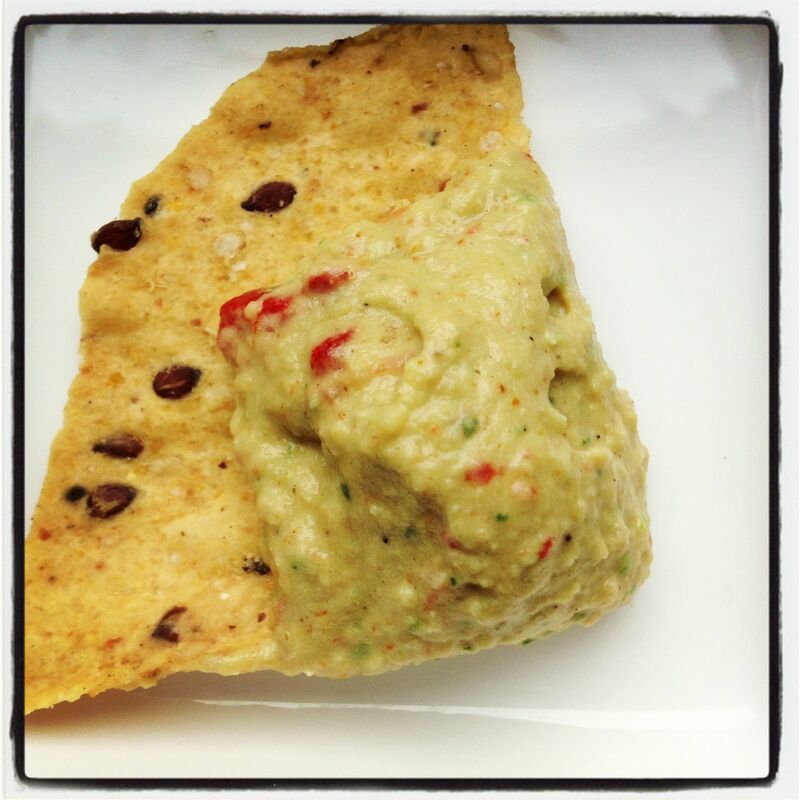 But typically, basil pesto is the shining star in so many dishes. A couple of dollops on pasta for a quick on-the-go meal. Spread it cautiously as a pizza topping. And schmear it on some rye bread for a tomato-provolone-pesto grilled cheese. Oh, yeah, I went there. Grilled. Cheese. The secrets to good basil pesto are two-fold: Great-quality ingredients and a nice ratio of basil:parm:pine nuts:evoo. The amount of garlic, honestly, depends on your tastes. The recipe I use is from an old, back-‘n-the-day Moosewood cookbook called the Moosewood Restaurant Kitchen Garden. Not too much cheese. Not too saucy. Plenty of basil flavor. 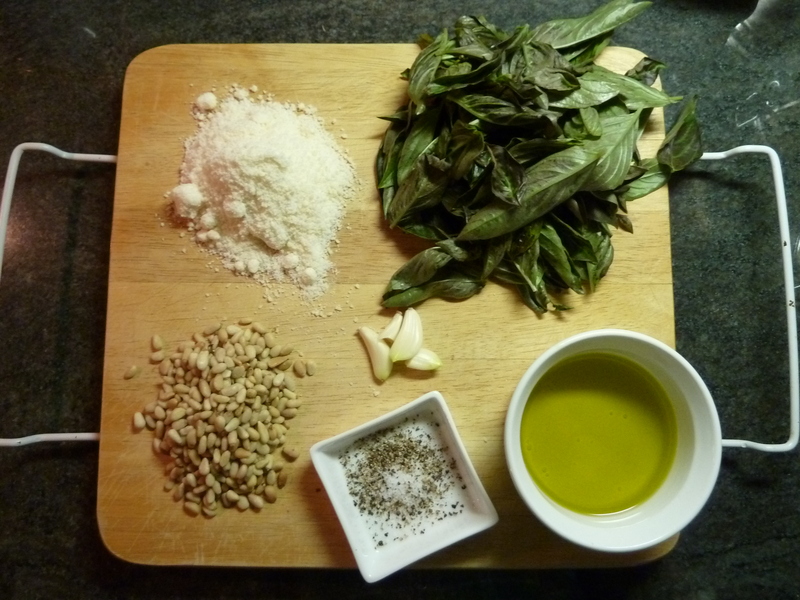 -Place the basil, pine nuts parm and garlic in a food processor. I like to put in half of all the ingredients, give it a whir, and then add the other half and give it a whir. That’s just the best way in my machine – things don’t get jammed in there that way. Be sure everything is chopped evenly. Give it a sprinkle of salt and pepper. -With the food processor on, sloooooowly add the olive oil in a steady stream. It’ll slowly become paste-like. It may bunch up on the bottom—stop the machine and get all the good stuff from the corners. DON’T add all the oil. Stop the machine, give it a tasty. Good? Needs salt and pepper? Add some. Is the consistency kinda rough and thick and you like it? Then stop. Like it a bit more smooth? Keep whirring and add the remaining oil. 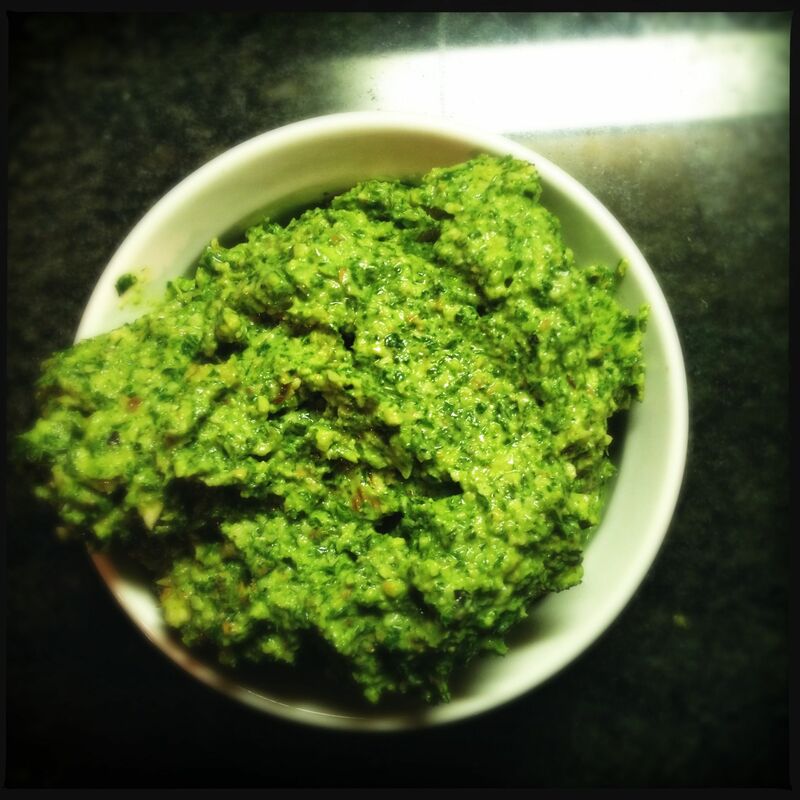 NOTE: The beauty of pesto is this: It can be any way you want it to be. Chunky. Rough. Pasty. Saucy. Hey, you’re the one eating it. Eat what you like. -When it’s whirred to your liking, use what you intended it for right away. -Place the pesto in an airtight food storage container (glass, plastic, whatever) that is large enough to allow some room on top. Smooth the top into a flat layer. -Drizzle a thin layer of evoo on top so it completely covers the pesto. You don’t need to much but you do need to make sure all the pesto is covered. This keeps the air from oxidizing the basil and keeps the bright green color. But you’re smaht, I’m sure you already knew that. Enjoy. And maybe when it’s time to harvest our parsley before the first frost, I’ll share my super-secret recipe for parsley pesto. You are currently browsing entries tagged with spread at The Dainty Dot.